Happy Monday, Odd Squad! On this super spooky episode of the Travel Oddities Podcast, Brett and Harley have partially recovered from an electrically charged ESP test just in time for a trip down the Haunted Ortega Highway in Lake Elsinore, California. 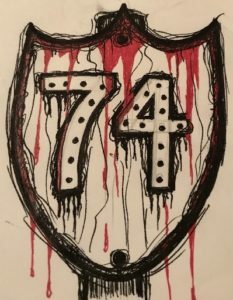 Highway 74 or the Haunted Ortega Highway has claims of hauntings and many other odd sightings, and since it has seen more than its fair share of death, it’s no wonder why it is considered one of the most haunted places in California. From phantom clowns to crazed gnomes to the truly unspeakable, this stretch of road has something for every paranormal thrill seeker. If you find that you are brave enough to take this highway, the spoils are more than worth the trip. Lake Elsinore, CA is a beautiful resort town nestled in the Santa Ana Mountains with breathtaking views and activities for every taste. If you need some assistance to make it past the paranormal, the boys share the recipe for a witch’s bottle. We cannot guarantee the effectiveness, but we can guarantee it is really gross. Road trips, even terrify road trips on haunted highways are our jam, but if you want to skip that piece, maybe you can “jump” past the obstacles. Skydive Elsinore is world renown of its thermals…so dive on in. If breakfast all day is more your speed, we have you covered. The Lookout Roadhouse has been voted the best breakfast in town, and the patio offers mountain top views that will blow you away. Listen to the show already, I am sick of typing!